Everyone likes to feel safe in their own home. We help you keep it that way with home security systems such as intruder alarms, CCTV and personal protection. Our intruder alarms deter would-be criminals and alert you and the authorities should anything go amiss. Modern CCTV systems provide further reassurance that your property and possessions are safe when you are away from home, whilst an integrated system can protect you and your family from fire and other hazards. By adding personal protection, you can have complete peace of mind that, should something happen when you are at home, a fast response is just a click away. What do our home security systems do? Prevention is always better than cure. According to the Home Office, 84% of burglars avoid homes with visible home security systems. A bell box from The Alarming Company tells everyone that you take your security seriously. Few people will respond if they hear an alarm go off in the neighbourhood. Our alarms automatically call you, a friend or family member when something’s amiss. For even greater peace of mind, our monitoring service can investigate and assess alarms before calling you and the police. Modern CCTV takes your security to the next level. It offers reassurance when the doorbell rings. It lets you see your home when you are away, and it provides evidence and leads for the authorities should the worst happen. Sometimes a securely locked door is not enough. Adding personal protection to a home security system provides a quick and effective means to frighten intruders away and to alert friends and the authorities. A bell box with The Alarming Company logo tells burglars your property is protected by a reputable and well-known company. 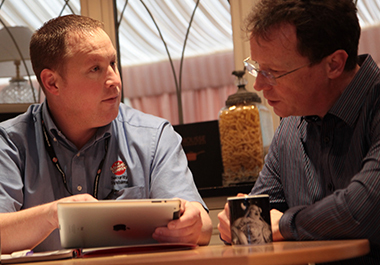 Our NSI accreditation means you can reduce the cost of insurance and ensures that you can trust your installer. Wire-free systems reduce disruption and can reduce costs. Easy-to-use control panels that the whole family can operate. Systems that cannot be triggered by your pets. It is a sad fact that homes that have been broken into are likely to be re-burgled again. If you are unlucky enough to have been a victim of crime, we can very quickly install a temporary alarm to help prevent it happening again. This gives you due time to think about whether you need a permanent system and tells the burglars to find a softer target. Get in touch and let us know what you’re interested in. We will then visit your home to discuss your particular requirements and assess your home’s current security. Based on our visit and survey, we will provide you with our findings and suggestions for improving your home’s security. This will include quick-win tips to protect your home, as well as fixed-price quotes for any systems we think would help. If you like our proposal, contact us and book an installation. We will tell you how long its going to take and arrange a date. When the day comes, we’ll take care of your home, cleaning up behind us and making sure you fully understand how the system works. …safe in the knowledge that not only is your home, property and family more secure, but we are always on-hand to keep it that way. If you think that your home and family could benefit from an alarm system from The Alarming Company, contact us today to arrange a free, no obligation survey. Call us on 01329 314444 or click the buttons below.